A popular dessert in Thailand when it's served chilled, a cool relief from the hot weather. Mix with 1 1/3 cups water, bring to a boil, pour in molds and cool until set. Chill and serve. 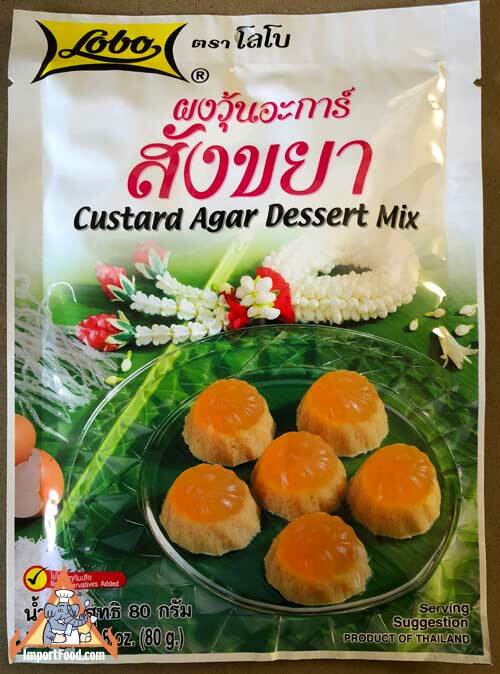 Ingredients: sugar, coconut milk powder, whole egg powder, non-dairy creamer, agar, artificial flavor.